On today's show we a meet a model dog bound for the catwalk, go head to head with a wakeboard champion and take on the challenge of counting every fish in the aquarium! 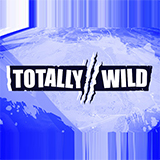 Totally Wild was broadcast on Eleven at Wednesday 12 September 2018, 08:41. Totally Wild is an Australian television series for children that has been on the air since 1992, making it one of Australia's longest running kids shows on TV. Over the years the show has become a reference in the industry of children's television in Australia. Totally Wild is presented in the form of a news program that covers stories on various topics, including science, technology, animals and nature, sports and the environment. Similar to news programs for adults the show is broadcasted at 8am from Mondays to Wednesdays, while repeats of each week's episodes take place on Saturday mornings at 8.30am. 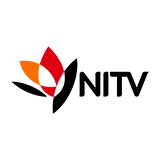 ?By the time of Totally Wild's 20th anniversary in 2012 more than 2'000 episodes had been broadcasted.